Shopping at eBay is somewhere that you should consider shopping when looking for any product. EBay offers secure payments, great customer service and easy to read reviews over the person or business that you are purchasing from. eBay's star rating system allows users to easily see what kind of retailer this is. 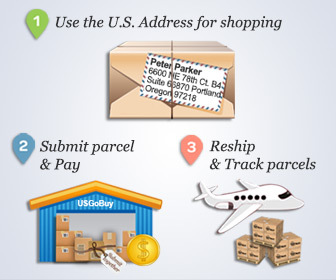 You can see it they make their shipments on time, if the product delivered is the product that was shown on the site and many other perks or complications that may have come from previous transactions. If a retailer or seller does not follow through with their promises, you may contact customer support and/or the seller to help get the issue resolved. The messaging system allows easy access to email, message and transaction history. eBay offers many different payment options that are fast and secure. Whether you decide to use PayPal or a credit/debit card, you can rest assured that the site's security will not release any personal information that you provide. Shopping online is made simple by eBay. The site offers many different products new and used. The rating system is above par as a way to keep both buyers and sellers aware of whom they are doing transactions with.